With the cinema release of Disney/Pixar’s The Incredibles 2 just around the corner, I’ve been reflecting on how brand partnerships in movies have changed ever since I delivered these for the first Incredibles film in 2004. We can look at Disney’s latest campaign to understand the broader changes that have taken place in the world of entertainment partnerships. Disney has teamed up with numerous local and global brands for the sequel to 2004’s blockbuster animated super-hero family pic. This doesn’t quite reflect Disney’s ‘fewer, bigger’ partnerships strategy of yesteryear, and from experience can cause brand partners to feel their association is being diluted. Just a few of the brands on board include Boots sun brand Soltan, Plenty, Clorox and Quaker. 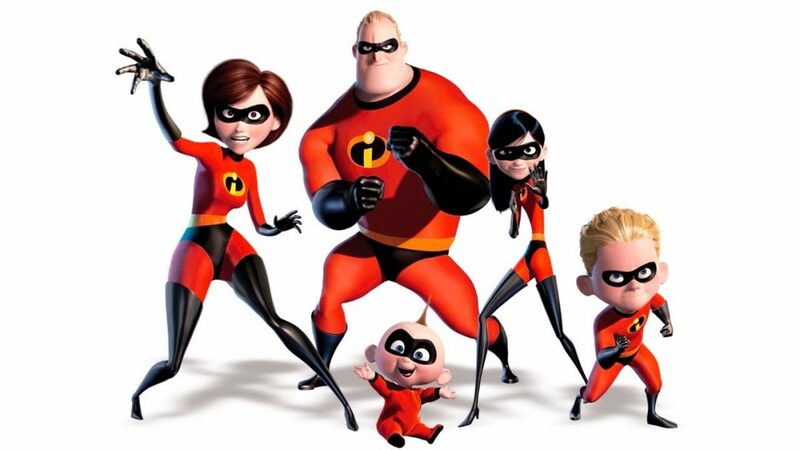 From an activation perspective, many are almost a cut and paste of the partnerships we saw for Incredibles 1, with some drawing successfully on creative links between product and film (suntan cream protecting your family; cleaning up after your little ones). A key difference this time around is the companies with which the studio’s chosen to partner: in 2004 Nestle Cereal Partners were still in a 15 year licensing and marketing deal with Disney and P&G were the household brand partner of preference. For me, though, it’s The Incredibles 2’s Asics partnership that illustrates the biggest difference, and not necessarily because of the choice of partner and its limited edition The Incredibles footwear. Linking with a sports shoe brand to reflect the film’s themes of speed, movement, agility, strength and helping promote a healthy lifestyle is something we investigated back in 2004. What’s really changed is the ability for Asics – and all brands for that matter – to fully embrace a film’s creative themes to create and distribute immersive digital content. Back in 2004, in animation terms Disney/Pixar were still pretty untouchable when it came to sure-fire box office success and all-audience appeal. And Disney had certainly set the bar for integrated brand partnerships, spearheading an innovative approach to partnership marketing that offered brands the chance to leverage the excitement of film characters and content, often without paying license fees. In reality, when done properly, the brand partner campaigns we helped create were the earliest form of ‘branded entertainment’ – a term which at that point hadn’t even been defined or effectively articulated by the few of us in the agency world who had recognised the tangible benefits to brands. As far as Disney/Pixar’s competition went, it’s true that DreamWorks were becoming a force to be reckoned with, having released the blockbuster Shrek in 2001. But unlike today, where we now have the likes of animation powerhouse Illumination (the makers of record-breaking films including Minions and The Secret Life Of Pets) and original IP makers such as Netflix and Amazon, there were far fewer studios and original content producers for brands to choose from. So, it was still very much a time of brand innocence, with a relatively small number even aware of the marketing opportunities presented by partnering with film, and fewer still actively embracing film to help them achieve either tactical or strategic objectives. McDonald’s were doing their licensed Happy Meal thing globally, coming towards the end of an exclusive 10 year relationship with Disney. The end of the deal was due in part to Disney’s business strategy of beginning to avoid partnerships with high fat, salt and sugar products (which is why the likes of the Nestle Confectionery partnership I worked on for The Incredibles is a thing of the past). But it was also likely that McDonald’s saw an exclusive deal with Disney as too restrictive in light of other emerging hot properties (their Disney deal meant they also missed out on 2006’s Shrek 2). It is only now, with the release of The Incredibles 2, that the two companies have agreed another multi-year deal, although on a non-exclusive basis and linking to healthier eating options in the restaurant. Looking further afield, it’s hard to believe the now iconic Orange Wednesdays 2-4-1 cinema ticket offer was only around a year old when the Incredibles released in the UK. The offer endured for ten years before the mobile company decided to change their regional strategy. Today, of course, it’s a mainstay of comparethemarket.com’s marketing, with the added layer of exclusive Meerkat/film toy plush to collect. On the other hand, in 2004 UK consumers were already very familiar with Stella Artois’ association with the movies. The beer brand was six years into an eight year sponsorship of film on Channel Four, while the Stella Screen Tour outdoor screening programme had been running for nearly a decade. At the time, I was helping write the content for the new ‘Studio Artois’ website, which gave social currency to film fans and resulted in some impressive site traffic and membership figures that may well have impressed the founders of a small start-up called Facebook. And again, it’s this change in media landscape over the last decade that enabled Heineken to make the most of its partnership with 2015’s Spectre – its seventh with the James Bond franchise – and is currently helping Estrella Damm disseminate its series of original films with A-list actors to a wide audience. 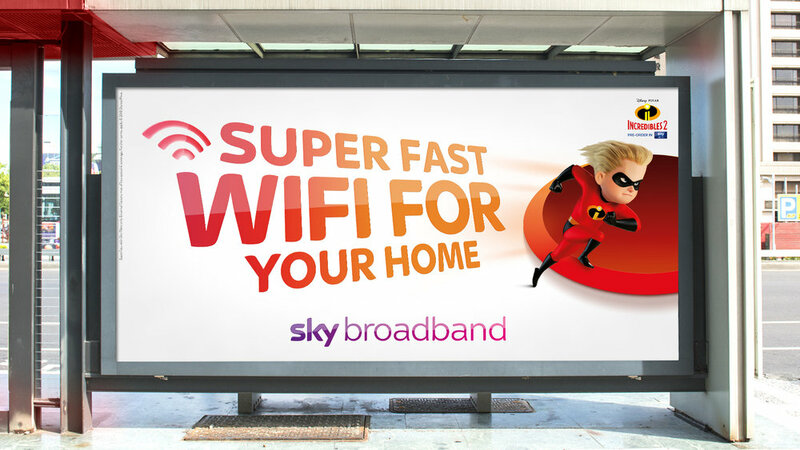 Mr Incredible (Super strength) – For brands and studios alike, today’s partnerships can be a truly powerful combination. But the strongest promotions come from genuinely embracing the film, characters, assets and prizes in innovative and creative ways across channels. No one wants a badging exercise, so look for films that can provide a creative link for your brand, product or service messages. Elastigirl (elasticity) – One word: Flexibility! Film releases are ultimately artistic, creative endeavours. The right creative execution is therefore paramount, so try to bear this in mind during the campaign artwork approval process. Film release campaigns also tend to evolve over time, so it’s best to accept upfront that creative directions may change. But while flexibility is key for creative, remember that when it comes to marketing support, incremental spend will be welcomed by studios, while cutting your previously agreed spend will not. Violet (force fields) – Take a leaf out of Violet’s book. Remember that by being part of an event film release, you are part of a massive halo effect that your competitors will find difficult to penetrate. Create an aura of buzz and excitement around your campaign, not just with consumers but customers, too. Use the film characters to help your brand stand out and your competitors melt into the background. Dash (super-speed) – Many film partnerships originate with a speculative approach to a brand from a studio representative or their agency. Despite trying to pitch well in advance, sometimes brands only get sight of opportunities quite late in their planning and budget cycle. So if it feels like an idea that’s too good to miss, it’s worth bearing in mind that film partnerships can provide the storytelling magic and creative layer to your previously signed off marketing objectives and budgets. By asking the right questions from the start, mobilising the right people internally, and working with agencies and suppliers who understand entertainment partnerships, you can significantly speed-up the partnership negotiations and creative approval processes. Jack-Jack (heat-vision, shapeshifting, floating, you name it) – Jack-Jack is a very happy little chap who’s pretty damn awesome. So, whether you’re developing your very first brand film partnership or putting your 1,000th together, remember it’s always a learning curve and, despite the inevitable hurdles, your film partnership has the power to spread consumer and customer joy and encourage brand love.